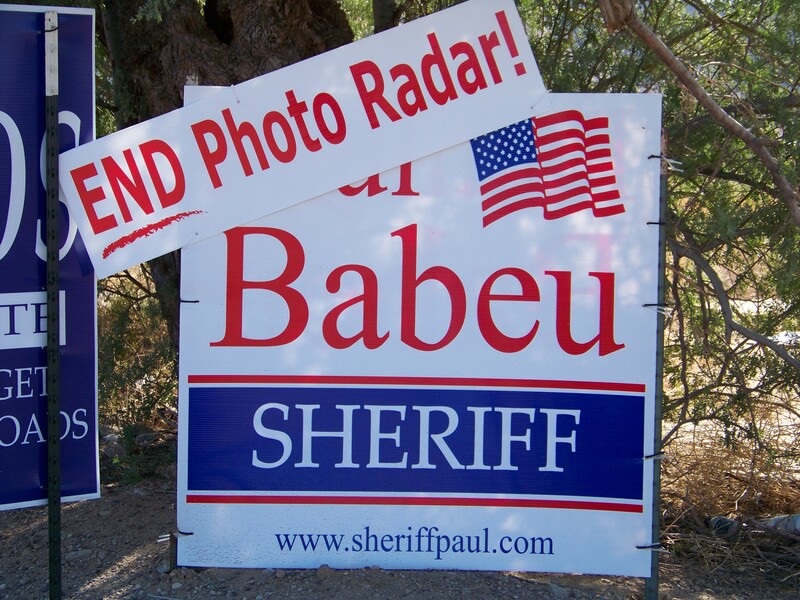 Babeu to Gullet – Photo Radar is Still a Scam and I won’t back down. Everyone knows the story of Paul Babeu winning the election for Sheriff in 2008 by taking on Redflex and promising to take their cameras down, for good, once he came into office. 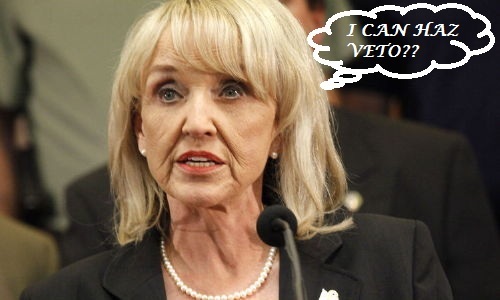 Babeu delivered on that promise as soon as humanly possible. Many writers and commentors have taken issue with his politics in other arenas, so he’s become a bit of a hot button. The good news is that he’s not backing down for his support of taking the profit motive of a private, foreign corporation out of law enforcement. He’s even mentioned his promise keeping on this issue in a recent interview. Like him or dislike him, his potential run for US Congress deserves mention, especially if he’s leaning on his record when it comes to photo enforcement. There are plenty of other issues to attach to Sheriff Paul, but the hard line he took on photo ticketing was a benefit to groups like this one and all over the country who are fighting the same fight. Comments are wide open to criticize him for whatever you have take issue with. Thanks goes out to everyone who showed up today, especially to our volunteers who make everything possible. There will be a lot more to come on the success of our efforts. Many, many thanks to Sheriff Paul Babeu and special thanks to Dean Martin for attending as well. He already answered the question four times Gregg. It's not going to change. He would not identify himself at first, but Gregg will never miss a chance to stroke his own ego. We applaud you Mr. Ostro for keeping it to yourself long enough to make everyone wonder why someone would show up and act in the covert manner that you did. We all sincerely thank you for giving Sheriff Babeu and Treasurer Martin the chance to clearly repeat their distaste for photo traffic enforcement. Arizona Citizens Against Photo Radar would love to know what your relationship with Redflex Traffic Systems is, in the interest of total disclosure. We invite all of our supporters to take a look at the great work Ostro does and consider him for your next corporate video production. We’re sure he must do a great job if an esteemed multi-national, Australian-based company like Redflex would allow you to work on their behalf. 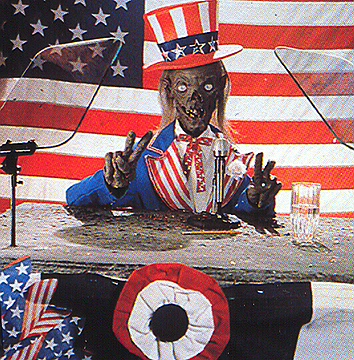 We’d ask you to assist with our video production, but our people aren’t paid. We also apologize on behalf of anyone who acted inappropriately towards you, but that’s what you were probably going for, is it not? Pinal County Sheriff Paul Babeu will make an appearance at the CameraFRAUD booth at the Arizona State Fair tomorrow, Sunday October 25 at 2:00 PM. More recently, the Sheriff testified before the Globe City Council in strong opposition to automated ticketing. CameraFRAUD would like to thank the Chandler Police Department and Sgt. Picquet for their professionalism and courtesy while ensuring public safety during today’s demonstration. Officers were at the location before we arrived, and actually left the immediate area to ensure that no one felt intimidated. Sgt. Picquet exchanged phone numbers with a contact person at CameraFRAUD to ensure a line of communication in case of emergency. He thanked us for coming out and expressed the support the City of Chandler has for first amendment rights. Chandler PD’s professionalism is in sharp contrast to the authoritarian intimidation tactics utilized in the past by the Arizona Department of Public Safety (DPS), the same agency which helps run the state’s profitable—and illegal—automated ticketing scheme. In a related note, former Chandler PD veteren Paul Babeu was recently elected Sheriff in Pinal County, promptly ending automated ticketing. During today’s Pinal County board of Supervisors meeting, Sheriff Paul Babeu presented to the board why Photo Radar should be banned in Pinal County. In a 3 to 0 vote, the Board agreed with the Sheriff and cancelled the Photo Radar contract with Redflex. Thank you Sheriff Babeu for your leadership on this issue! The Pinal County Board of Supervisors will now formally send Redflex a notice of termination. Photo enforcement in Pinal County effectively ended on January 1st as one of Babeu’s first decisions in office. The program “shall not be resurrected,” according to the Sheriff. One can only hope that the incoming Governor, who is being sworn in today, will do the same (…contact her here).